The Everett Silvertips Summer Hockey Camps are just around the corner and there is still room for more kids to join the fun. 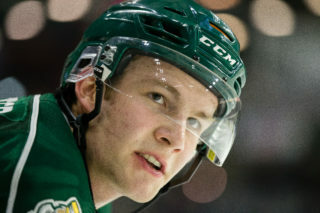 Silvertips Associate Head Coach, Jay Varady along with former Silvertip captain Mitch Love, current Silvertip defensemen Jonathan Harty and Graham Pouter will be on hand during the summer hockey camps. For more information on the Silvertips Summer Hockey Camps, contact the Silvertips office at (425) 252-5100 or contact Jay Varady at jvarady@everettsilvertips.com. You can also pick up a hockey camp brochure at the Silvertips office inside the Everett Events Center. The Silvertips Summer Camps are designed to use both classroom sessions and fun on-ice sessions to teach the basic skills of skating, passing and shooting that are critical in the development of every young hockey player. 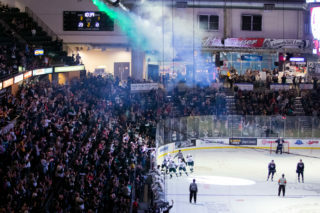 Silvertips play-by-play man, Keith Gerhart chats with Silvertips Associate Head Coach Jay Varady about the success of the Silvertips Hockey Camps. KG: First off, congratulations on your promotion to Associate Head Coach with the Silvertips. What are your thoughts about being promoted within the organization? Jay Varady: I am extremely excited about the promotion. It is going to be a good opportunity for me. I will definitely have more responsibility this year but I am looking forward to the challenge. It is also hard a bit because I am losing a great mentor like Kevin because I learned so much from him. At the same time I am happy to see him get another opportunity in the pros and wish him the best. I am looking forward to next season working with the players and John Becanic as well. KG: You are now in your fourth season running the Silvertips Hockey Camps. How much has it grown since the first one? Jay Varady: It has tripled in size since the first one in the summer of 2004. We continue to see steady growth because of the growth of the Everett Youth Hockey Program. 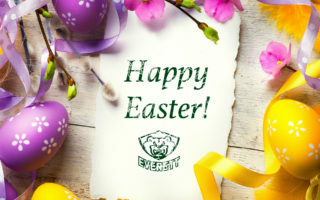 With the rise of the Everett Youth Hockey Program there are more kids interested in going to camps like we have with the Silvertips. It is great to see young players work with the Silvertips coaches and players. On top of that the camps are held at the Everett Events Center which is great for local kids to participate in a hockey camp in the Snohomish County area. KG: What is your main focus when coaching the camps? Jay Varady: Skill development and fun. I think you have to have fun playing hockey when you are a young player. One of the goals of the camp is to make sure a player wants to come to the rink everyday because hockey is fun to play. It is neat to the see the kids have fun on the ice and at the same time they are also improving their game with the different drills we have for them. 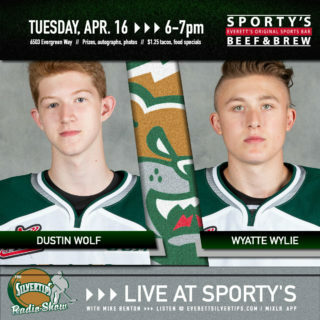 KG: How great is it to have some current and former Silvertip players get involved in the hockey camps? Jay Varady: I think it is great to have some former and current Silvertip players get involved with the kids at the hockey camps. I believe it is great for the kids because they look up to our players as a role model and they can build a great relationship with the players. I think the hockey camps are very important for the players especially if they want to get into coaching someday. I think hockey camps is a great way to learn how to coach and run drills. Guys like Mitch Love gets involved with the camps because he plans on becoming a coach someday after he is done playing. He gets to run drills and practices at the camps which will be very valuable in the future. 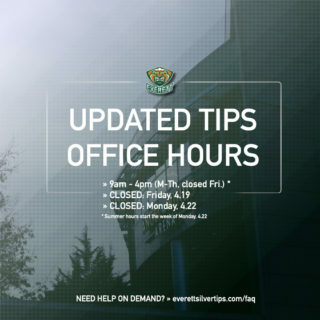 KG: Do you find it a rewarding experience running the Silvertip hockey camps? Jay Varady: I love the hockey camps. It is a fun time for me because I get a chance to interact with the young players and teach the game of hockey. I think the hockey camps are a great way to tie the Silvertips with the community and teach hockey to the kids here in the Snohomish County area.